Just in case you didn't know, I am one of those girls who benefitted from braces and it is without a doubt, one of the best decisions I have made in my life. My teeth wasn't crooked to begin with but I wasn't happy with my "lop-sided" smile (Uneven gum show when I smile) and overbite. The biweekly visits to my dentist were the most dreadful because it meant tightening of wires that causes immense discomfort. I couldn't eat properly and sometimes when I open my mouth too wide, I find the wires poking at my cheeks, causing ulcers D: Not to mention the unglam metal parts protruding from my mouth each time I speak. A few years on, I find that this is actually not the perfect smile I'm after. Yes my teeth are straight, uneven gum show has been corrected, BUT, my teeth are a little too big for my face! My Mom did casually mention before but I didn't put it to heart until I started grooming myself for the pre-wedding shoot in Santorini earlier this year! But up-close? Don't sugarcoat me, its really abit too big right lol. This brings me to the main purpose of this post - My consultation with Dr. Cheng Eng Wah from i.Dental Invisalign Dedicated Clinic. 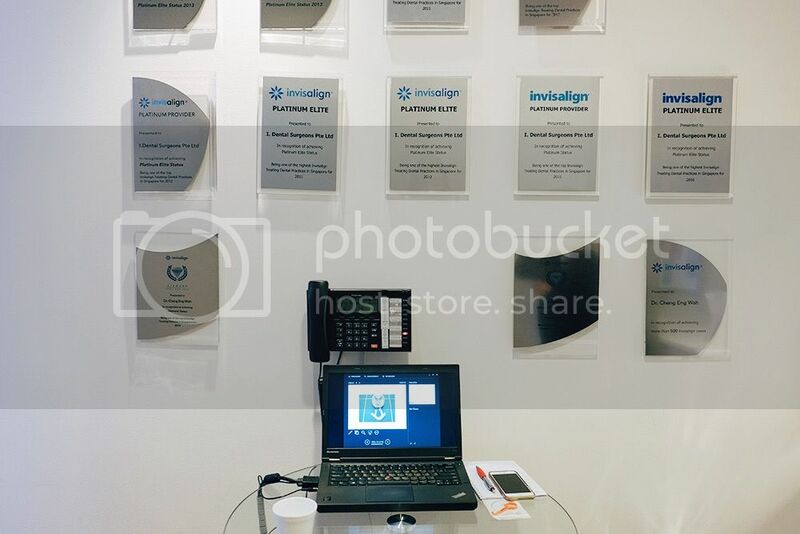 i.Dental Invisalign Dedicated Clinic is the appointed flagship clinic for Invisalign treatment in Singapore. They have successfully delivered orthodontic treatments to more than 10,000 patients - more than 1000 being Invisalign treatments. They are also awarded the Diamond Provider status – the highest in Singapore so far, based on the number of cases treated. They are located on the 9th floor of Capital Tower and very easy to spot! 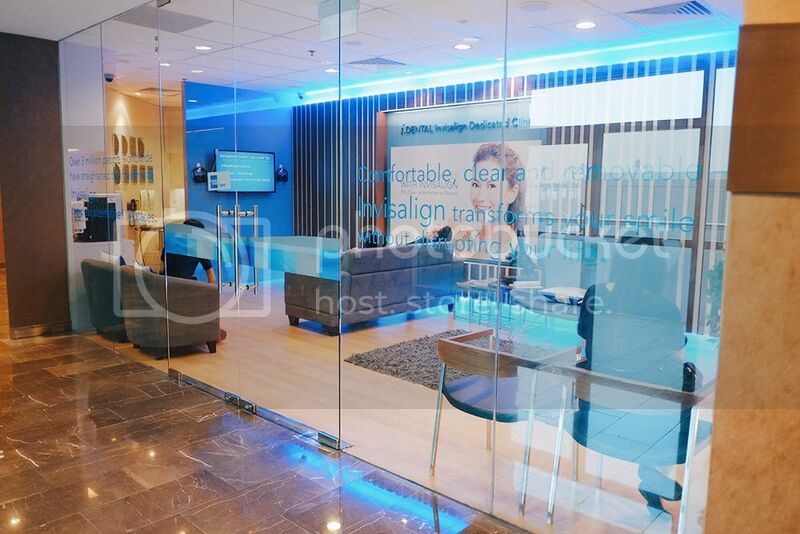 The clinic was adorned in multiple shades of blue and it looks very clean and comfortable. I was too excited on my first consultation with Dr. Cheng, I forgot to take a picture with/of him. 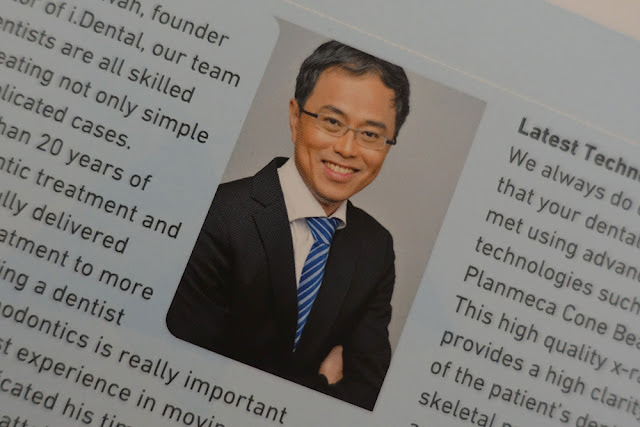 Dr. Cheng is very amiable and has more than 25 years of experience in orthodontic treatment. He is also the first dentist in Singapore to be awarded the Diamond Provider status in the individual category, treating close to 1000 cases alone! It is a teeth straightening treatment method using virtually invisible and removable aligners custom made for your teeth. With each change of aligners every 2 weeks, your teeth will move gradually towards the projected final position at the end of the 6 - 24 months treatment period. The treatment duration is based on the complexity of each individual’s case. Back to my consultation... After giving my teeth a thorough check, Dr. Cheng spotted out that my teeth are a little too big for me and I still do have a little bit of overbite problem. 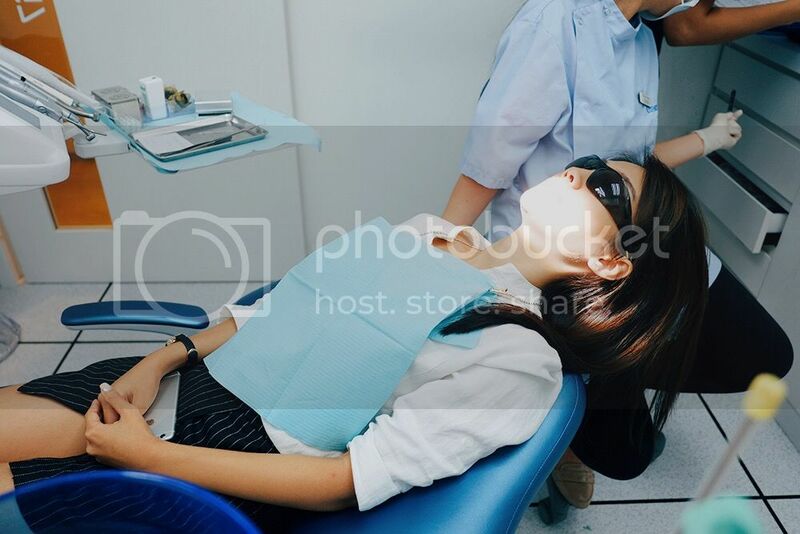 I then proceeded to take moulds and X-rays of my teeth for the 2nd consultation with Dr. Cheng where he'll give his professional suggestions and recommendations. 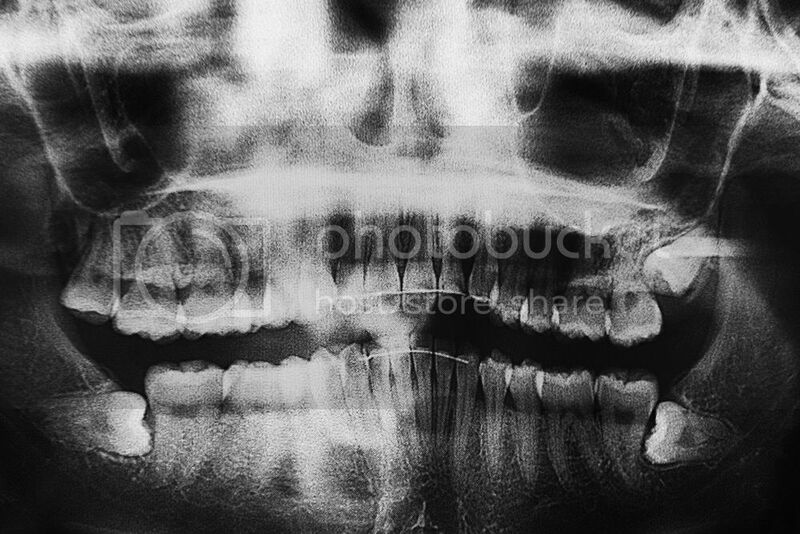 Pictures for a better review of my teeth. 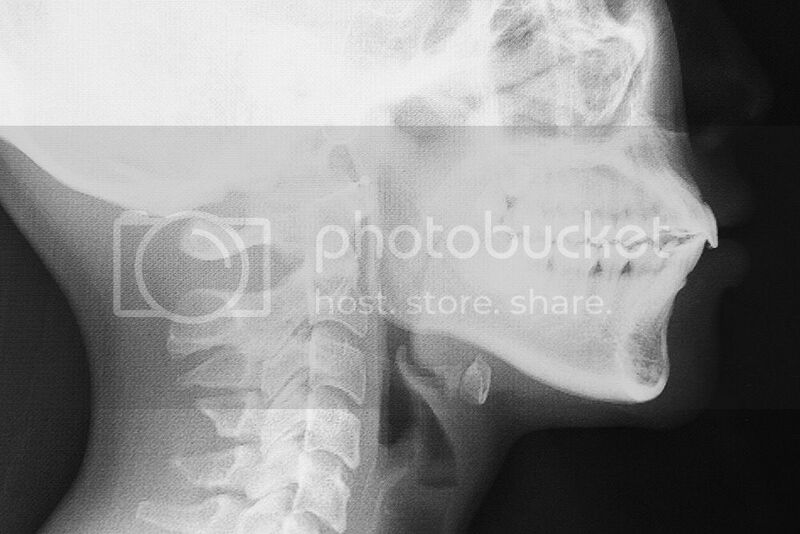 On my 2nd consultation with Dr. Cheng, I received my X-rays and clearly, I do have a slight overbite as mentioned previously. 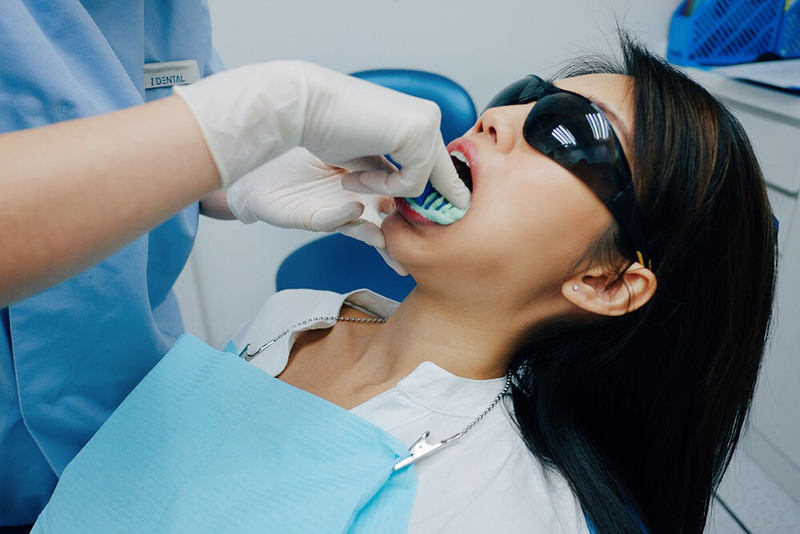 Dr. Cheng was very informative throughout the consultation and suggests that I have my teeth shaved smaller and with the help of the Invisalign aligners, bring the overbite inwards using the gaps from my shaven teeth. I was also told that patients can also choose to go for extractions to bring their teeth in but for a facial profile like mine, it may appear sunken in the years to come as human lips naturally collapse with age. I really appreciate how Dr. Cheng is not only concerned with straightening my teeth but also taking into consideration my overall profile and features. These tips are definitely something that only an experienced doctor with many years of clinical experience can share as they have seen patients of all kinds of conditions! He also recommends that I have my wisdom teeth removed soon as it is currently lying in my gum which may cause problems in future if I do not clean my teeth properly. 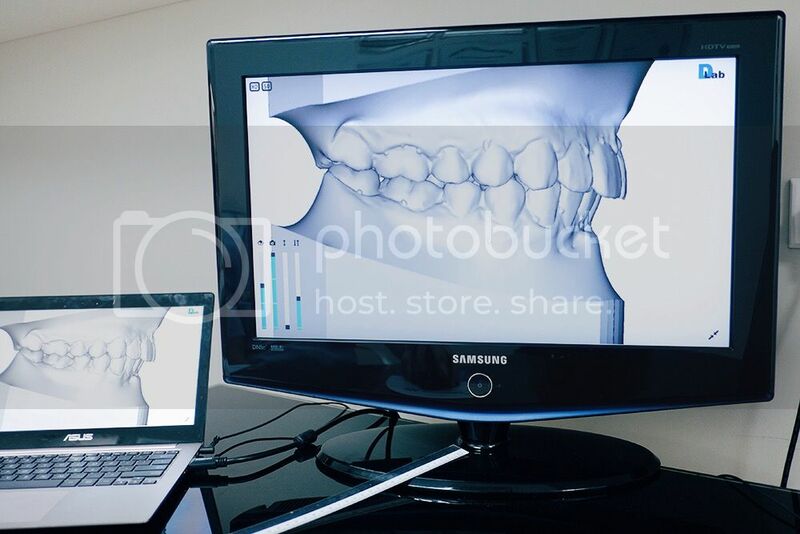 Invisalign at i.Dental starts from $4,500 and the consultation that I went through costs $220 for 2 consultations with Dr. Cheng, X-rays, diagnostic models and photos. (Prices before GST). 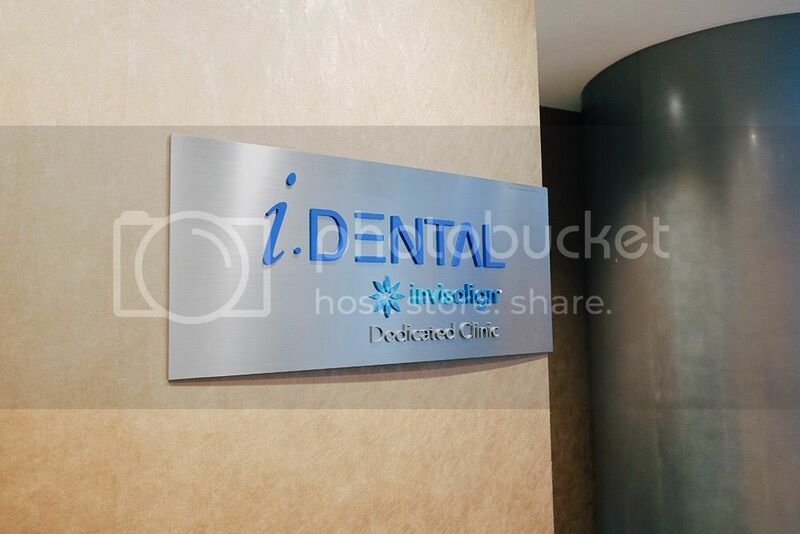 If you would like to make an appointment, please call them at 63232813 or email to info@idental.com.sg. If you are a student who is interested in Invisalign, do attend their Invisalign Open Day at Capital Tower on 16 January, 2pm! RSVP now at www.idental.com.sg/rsvp to find out if you qualify for their student rates . 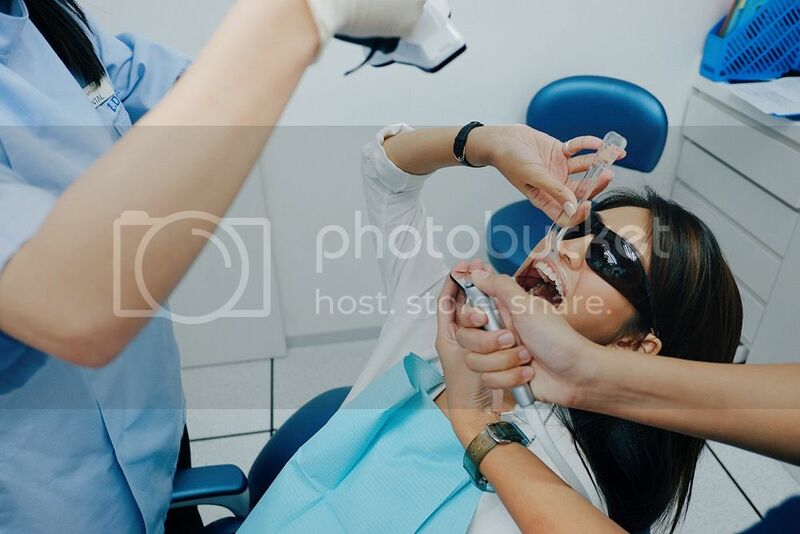 Invisalign is actually very suitable for brides and grooms to be because it is almost invisible and we don't have to worry about meeting people during this process. I am seriously tempted to start on Invisalign! !